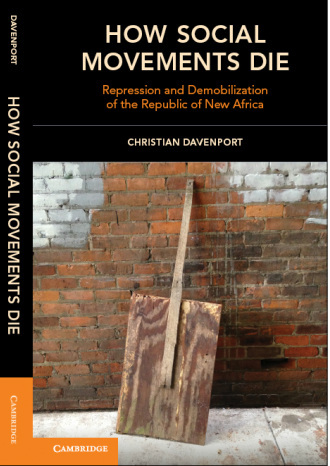 Out this month is Christian Davenport’s book on movement demobilization titled How Social Movements Die, published by Cambridge University Press. 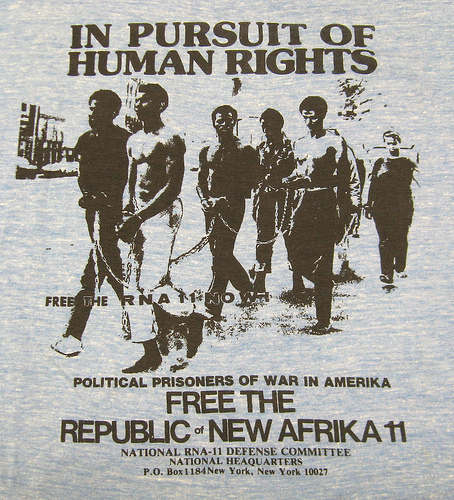 In this theoretically-informative and conceptually-rich analysis of the birth and death of the Republic of New Africa (sometimes “Afrika”), a Black nationalist movement that emerged out of Detroit in the late 1960s, Davenport demonstrates how state-sponsored repression and internal movement dynamics interact and combine to bring about a movement’s demise. The book comes highly recommended, for reasons I outline below. 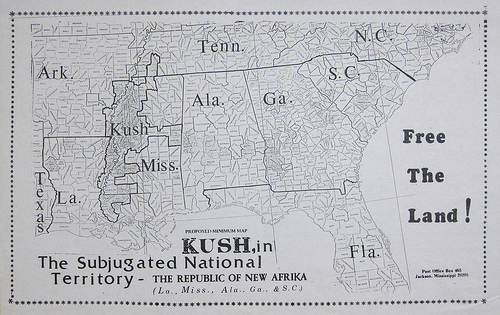 The RNA was founded with four primary goals in mind: territorial autonomy in southern states, reparations for slavery, a separate governance structure, and the democratic participation of African Americans on matters of policy within these liberated territories. The movement relied on mainstream, nonviolent tactics, but also promoted militancy and produced an armed wing. Regardless of any outside intervention, the RNA was likely destined for dissolution because of the mismatch between its ambitious aims and its limited capabilities. However, what Davenport is able to demonstrate is how state-sponsored repression exacerbated the movement’s weaknesses and to show why it dissolved when it did. As the vast literature on the repression-dissent nexus shows, states can kill movements. But movements can also undo themselves in a variety of ways—by failing to sustain participation, through infighting, and by failing to deliver on their promises. Davenport demonstrates that both factors matter; specifically, that two mechanisms promote demobilization. The first is the failure of movements to “reappraise,” which refers to activists’ attempts to prepare for repression. Movements are more likely to survive if they can accurately predict the kinds of repression they will face and, in turn, prepare themselves by developing contingency plans and corresponding counter-tactics. While no social movement has perfect information regarding what state agents are scheming, groups can more- or less-successfully reappraise government repression. This suggests that movements will be more likely to survive if activists prepare for a fuller range of the state’s repertoire, including both overt and covert forms. Movements that do not engage in successful reappraisal are likely to experience the breakdown of trust, the second mechanism of movement decline. When this happens, Davenport finds that movements are likely to factionalize and/or collapse. This is because members fail to feel protected; activists suspect one another of being infiltrators and informants; and some segments of the movement come to be excluded as the leadership becomes more suspicious and secretive. Combine this with the failure of a movement to deliver on its ambitious promises, and participants are likely to exit while their leaders fight and factionalize. At the end of the day, the RNA undid itself by a) being unable to deliver on its objectives, and b) by failing to predict correctly the kinds of repression that would be enacted against them. Both of these dynamics reduced trust within the RNA, which made them vulnerable to factionalization and further repressive activity. The types of repression facing movements matters as well. One of the RNA’s downfalls was its failure to prepare for covert repression, which shifted disproportionate movement attention to preparing for an iron fisted-approach. However, though the RNA expected overt repression, they were still unable to recover from mass arrests and costly, extended trials against their members. As Barkan (1985) argues, legalistic repression often works because movements often lack the capacities win in court. As such, reappraisals may increase the likelihood that movements survive, but they do not insulate movements from costs. Impressively, Davenport uses many thousands of pages of internal government reports, media reports, and documents produced by the RNA to examine how and why the movement changed over time. This approach ameliorates some limitations commonly found within the existing literature on social movement mobilization and repression. As I have also argued previously on this blog, Davenport argues that the repression-dissent nexus is often modeled on highly-aggregated proxy data that ignores the range of repressive actors, the range of repressive types affecting activists, and the nuanced effects that repression has on mobilization dynamics over time. Not surprisingly, past attempts to model the effects of repression on mobilization across time and space have not been able to tell us much about how repression affects activists’ reactions and counter-strategies. Furthermore, as Doug McAdam (1983) has argued, movements and their opponents grapple in an tactical dance, and such interactive dynamics remain understudied. Davenport tackles this issue head on, reminding us that the interaction between states and their opponents—in addition to between movement leaders and their followers—is dynamic, and that movement outcomes are sequence dependent. Importantly, he attends to both the broader environment of repression shaping the birth of Black nationalist movements in the late 1960s and also the specific repressive incidents affecting the RNA. Other notable effects of repression are highlighted through Davenport’s work. He finds, for example, that repression may weaken and grow membership simultaneously. Some participants may be deterred and leave, while new adherents simultaneously replace them, leading to a qualitative change in membership, but not a quantitative one. Another important finding is that repression has a time-lagged effect on movements. Particularly infamous incidents stick in activists’ memories, shaping their claims and their strategies for years to come. Activists may predict repression based on worst-case scenarios and harsher experiences, rather than more mundane forms of repression. We can see this dynamic at work in other cases, as few references to contemporary protest in China and Hong Kong fail to reference the 1989 Beijing Student Movement and subsequent Tiananmen Square massacre. This kind of analogical thinking and memory is present within activist collectivities too. Famous (or infamous) standoffs shape expectations. And these expectations may make some movements better prepared, while leading others to mismatch past state behaviors with current realities. Lastly, this study demonstrates how to combine different kinds of qualitative sources appropriately and to use process tracing methods to identify complex causes and effects over time. Most would not argue with the contention that scholars should analyze factors both internal and external to movements in order to understand mobilization dynamics. The question is how to do it, and the answer is that it’s really hard. It takes a lot of good data and a lot of labor. But as Davenport shows, the results are conceptually rich, historically fascinating, and theoretically generative for future studies. Barkan, Steven E. 1985. Protesters On Trial: Criminal Justice in the Southern Civil Rights and Vietnam Antiwar Movements. Rutgers University Press. McAdam, Doug. 1983. “Tactical Innovation and the Pace of Insurgency.” American Sociological Review 48(6): 735-54. Reblogged this on the road not taken.